is this delightful HOn2 layer cake from Akihiro Morohoshi in Japan. Happy Holidays! 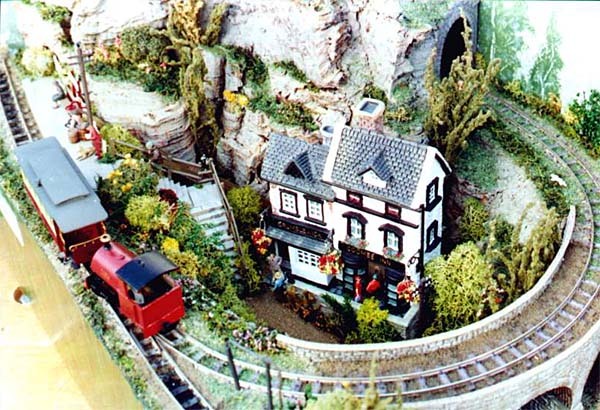 This charming small layout is Gypsum Works by Brian Bassington. 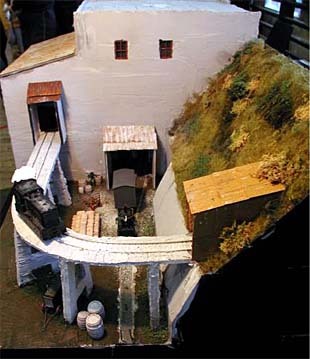 It was an entry in this year’s Chelmsford MRC’s French Connection competition for 30″x20″ layouts. This one features bi-level action. 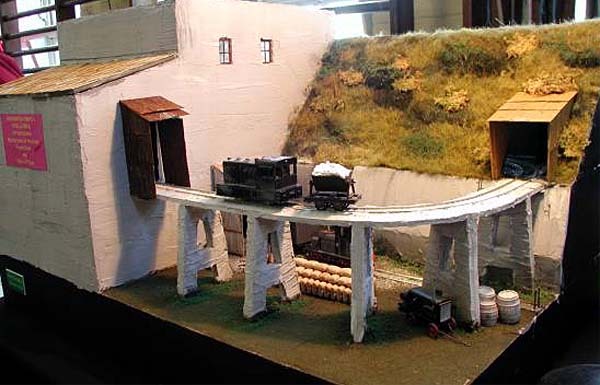 On the top level, the loco brings mineral gypsum from the mine (inset into the hill), crosses the interesting A-frame trestle, and enters the Gypsum factory building. 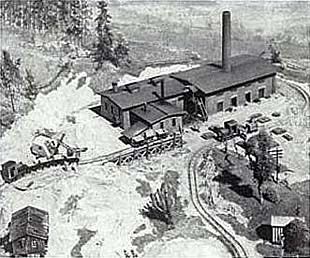 In principle, it dumps its load into the processer and returns to the mine for another load — in fact, it simply circles round to begin the cycle again. 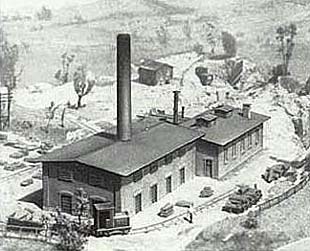 Inside the factory, the gypsum processing (supposedly) continues, and the finished product is sorted and shunted on the lower level, by a different locomotive.All in all, this is an interesting model of a prototypical industrial works. Photos by Terry Allen. Long-time reader Jack Matson found these pictures in his files. They’re ads from the 1960’s showing off the Vollmer plastic brickworks kit. It’s served by an HOn30 (9mm gauge) railway using Egger-Bahn stock (no longer available) — a very early example of commercial industrial narrow-gauge equipment in action! 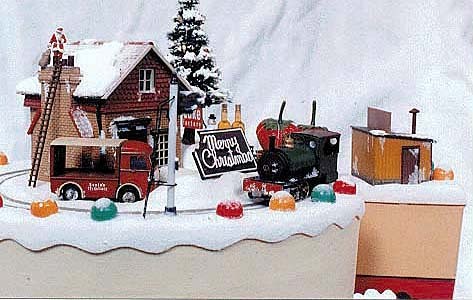 This display of 40 years ago was so well done that I can still get modeling ideas from studying these photos. 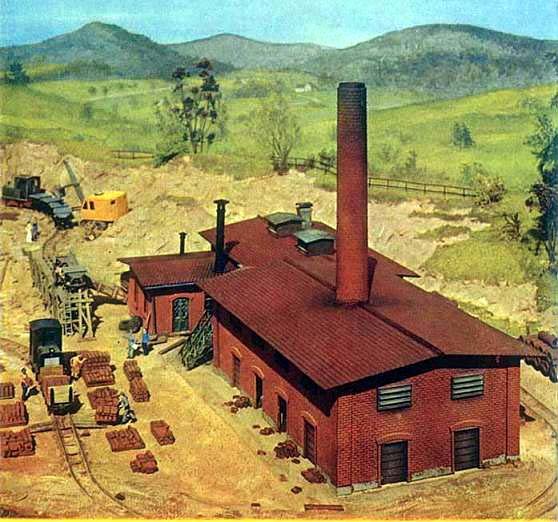 Jack also found a rare color photo, which shows the little railroad’s role in the entire production cycle — from raw material acquisition through shipping the finished product!